The Medical Device Regulation (MDR) and In-vitro Medical Device Regulation (IVDR) came into effect in Q2 of 2017. The transition period will be 3 years for the MDR and five years for the IVDR, meaning that the dates of application will be Q2 2020 and Q2 2022 respectively. We have 3 (or 5) years, so we don’t have to do anything immediately right? Wrong! There are some pretty major changes so it is essential that medical device manufacturers get management engaged in the process now so that money and resource can be available to support and implement the new regulations. In the United States, MDUFA and other regulations updated in 2017, have an immediate impact on how medical device manufacturers are developing and marketing their products. There are steps medical device manufacturers can take to comply with all regulations and help ensure successful clinical trial execution. Join Angela Stokes who will discuss the funding, people and steps to be taken now to ensure the major aspects of the new regulations are known, and plans are put in place to deal with modifications in classification, format of technical files, conformity assessment routes and other changes to ensure an uninterrupted supply of medical devices in the marketplace. Eric Distad will share his extensive experience in navigating US and global regulations on medical device development and offer insight into best practices for medical device clinical development in this era of increased regulatory review. Angela Stokes has worked in Regulatory Affairs for more than 25 years, in large and small pharmaceutical and device companies and in CROs and specialist Regulatory affairs consultancies. Currently Angela is Senior Director of Global Regulatory Consulting at Syneos Health. She has extensive speaking and chairing experience at conferences and on MSc and other courses spanning 20 years – speaks on all aspects of regulatory affairs including medical devices, biotechnology Japan and clinical trials. 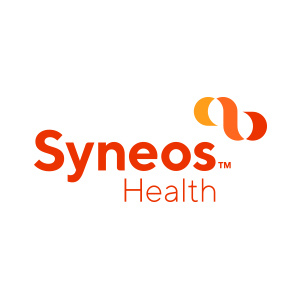 Syneos Health (Nasdaq:SYNH*) is the only fully integrated biopharmaceutical solutions organization. Our company, including a Contract Research Organization (CRO) and Contract Commercial Organization (CCO), is purpose-built to accelerate customer performance to address modern market realities. Created through the merger of two industry leading companies – INC Research and inVentiv Health – we bring together more than 21,000 clinical and commercial minds with the ability to support customers in more than 110 countries. Together, we share insights, use the latest technologies and apply advanced business practices to speed our customers’ delivery of important therapies to patients. To learn more about how we are shortening the distance from lab to lifeTM visit SyneosHealth.com.